Nampara offers grooming services so that you can take your beloved pet home after their stay with us looking clean and smelling great. Prices for grooming varies depending on the size, breed and condition of the coat so please ask if you are interested in this service. That's right it's not just us human that need a little extra pampering. A deep tissue groom consists of massaging your dog while being washed in a specially designed warm water dog bath, it is ideal to help spot potential health problems, like tumors or sore spots, before they get out of hand. The goal of a deep tissue massage in a dog is to loosen muscles, we do this by to using gentle motions that help your dog relax and feel comfortable. By pairing massage with a grooming session your dog feels healthy, happy and loved...and more like a puppy again. Grooming Services are available even if your dog is not boarding with us please feel free to contact us to make an appointment. Other pets please contact us to discuss a price. 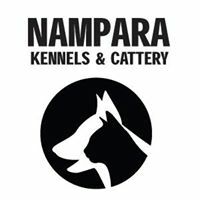 Nampara is situated near the Oroua River and some of Feilding's wonderful walking tracks so should you wish for your dog to be taken for an adventurous walk (on a lead at all times) please inform us.